I could list countless times that I caved and added extra things to my life that I have pushed into the “being helpful” column of my life. I get a lot of satisfaction out of serving and being helpful. My guess is you do as well! The more I talk to tutors I see that we are all attracted to tutoring for similar reasons. Tutoring allows us to be helpful in a very personal way, it fills us up at the same time. Teaching in such a personal way is highly satisfying. This also leads me to believe that in your life outside of tutoring, you also like helping others. Can you relate? The summer of 2014, I thought I had learned my lesson with boundaries once and for all. After a summer of conferences, vacations, visitors, and a packed tutor schedule; I found myself completely depleted and my body retaliated. I have auto-immune diseases that stress can cause to flare up and wreak havoc in my life. I slowed down some and recovered. Then went right back to taking on too much again. I was the yes woman! For years I have been listening to Dave Ramsey on the radio. He often recommends the book, Boundaries to families in distress. I always brushed it off and thought it didn't apply to me. The following spring, I had stretched myself beyond my limits and my body shut down on me again. Obviously, I am anything but firm with myself. One day while visiting my sister, we were exchanging busy/mayhem stories. I mentioned this book to her and we decided to go get the book immediately. Before opening the pages of the book, I secretly was hoping it would be full of scripts telling me how to tell others no. It actually was quite the opposite! Through the lens of Christianity, the book discusses our root of why we make these decisions that we have labeled as being so helpful, or Christ like. As I read, I began to see myself in a lot of the examples they shared. In my efforts to avoid conflict, I end up taking on problems and responsibilities that I was never intended to take on like squeezing in more students to my schedule, putting others “emergencies” ahead of my family, and filling a void in a friend's life. Dr. Cloud points out that once you realize that you lack boundaries and begin doing the difficult work to put them firmly in place, you'll spend a few months being angry about them. You'll also feel like everyone else is angry at you, and they may be! Because you were boundary-less and now have said no to people around you, they may be lashing back in an effort to coerce you into saying yes. I've found this to be so true! Finding life and work balance is hard when you are running your own tutor business. 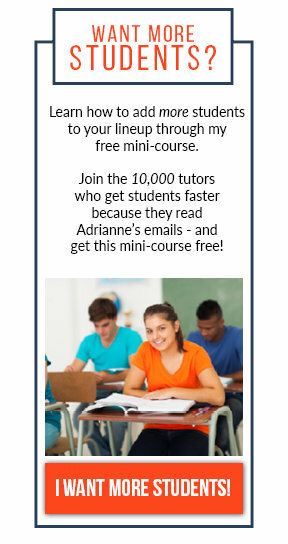 I would venture to say letting tutoring take over your life is born out of fear. Fear you'll lose all of your students (I lost 80% of mine this year), fear of hurting others, fear of students not getting the help they need…the list could go on and on. There is much wisdom in the conversation of business about learning this magical two letter word, no. When we can say no, we are saying yes to something else of greater worth. Maybe your no allows you to say yes to better health. Saying no might enable you to find time to move your tutor business online. Perhaps saying no will give you the time you need to take a much needed vacation. I am hyper aware of boundaries around me now. I'm seeing more and more entrepreneurs talking about boundaries. I think we'll see a continuation in this trend as our lives and work become increasingly more mobile. It is just too easy to fall into the mind trap that we can multi-task 10 or more things! 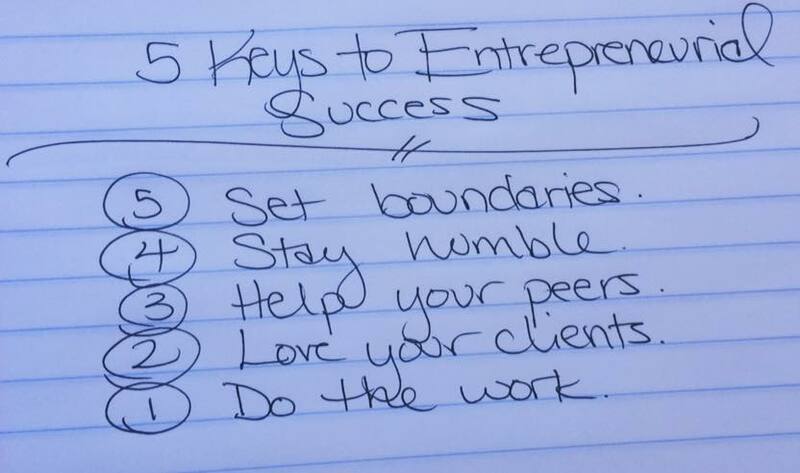 My friend Lauren Gagiolli of Higher Test Scores Prep recently shared an image on Facebook that totally spoke to the truths I am discovering on this entrepreneur journey. Saying no and setting boundaries is hard. I really don't like to disappoint people, but I have to in order to say yes to my family and health. I am finding it is getting easier each time I do it. What about you? Do you struggle with taking on too many responsibilities? Leave me a comment and you'll be entered to win a copy of Boundaries by Dr. Cloud and Dr. Townsend. I do struggle with taking on too many responsibilities. A year ago I was diagnosed with Breast Cancer Disease and I never gave up. I felt that if I continued with my normal life that I would be normal again. After enjoying my summer and getting back to work, I realized that I need to step back and enjoy this gift of life that has been given to me. I’m not sure where to start, I love what I do and working with children, but I know I need to do something that doesn’t consume my every moment. I really liked the list of 25 ways to say no. I’m going to start using some of them next week :-). Thanks! Adrianne, you write well and true. I completely relate and fight my overcommitted self a lot. My husband gently brings my tendencies to my attention and I heed his advice more than I used to. Now that I’ve established my business, I realize I can choose who I work with. Not so for the classroom teacher. Before committing, I assess the fit with the family as much as the child. Easy to fall in love with the child, but in order to really help one who has learning differences, parents need to be advocates as well. I enjoy working as a team for the child. Oh I totally struggle with boundaries too! I did have to say no to a student this summer, and it really made me feel sick I couldn’t help them. But I knew it was for the best and my husband supported that decision. He definitely helps me to keep things in check! I really want to read this book though. I keep hearing such great things about it! Thank you so much for this wonderful post. Saying no and setting boundaries are two of my biggest challenges, and I am constantly coming up against them since I clearly have not learned the lessons I need yet. Thank you for helping me take some some more steps in the right direction. You are awesome! I’ve heard you talk about this book before thinking I didn’t need it. After reading your life examples, I realized I do need to read this book. I always want to help people, but sometimes I sacrifice my own family time or health. If I do say “no,” I often feel guilty. Thank you for sharing this. I really appreciate it! I’m also sorry to hear you have “autoimmune disease!” I had no idea. I also struggle with health problems, but I’ve been grateful for tutoring so I can work around it and be kinder to my body. Thanks again for everything you do for the tutoring community! Your sincerity always shines through! I am currently working on this exact thing! Thank you so much for sharing your story with your readers. It is so true that when we continue to overextend ourselves our bodies will respond… often by shutting down! Yet, we often go right back to the same old same old as soon as we feel we’ve had enough time to recover. Is this something only women tend to do, or are men guilty of this too? I try so hard to develop a healthy balance, yet EVERY WEEK I find myself working on my business from sunup until well past midnight every day until I am so exhausted that I can barely function. I know I’m in danger of burning out, but there is always so much to do to make my business better so that I can better serve my students. I know many other business owners must struggle with this same thing. I am working on this exact thing in my business! I find I simply cannot say no to students who are struggling in math and need help now, even though I know my schedule is full and it is not in my family’s best interests, or even my own, for me to take on even one more student. It is so true that if you do not listen to your body, eventually, it will rebel or simply shut down, which forces us to listen better. Unfortunately, as soon as our bodies recover, we often find ourselves right back in the same place as before, doing the exact same thing! This book is actually on my reading list – now you have given me yet another reason to move it to the top of my reading list! Thank you!! Oh my, Adrianne, God bless you. I shared with you that I also have health issues that fall in with the auto-immune group. I had to quit teaching my loves, my elementary autism students, because of this overwhelming fatigue and chronic illness. I was put here to help children so I turned to tutoring. The fatigue, etc, is flaring again and I only have 3 students and this class. My poor kids and hubby go by the wayside as I leave to tutor just as they would be coming home. I STILL invite people to be tutored. The latest is a high schooler! I spend all day learning the curriculum so I can teach it! 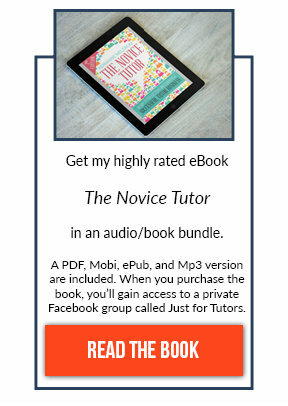 I’m hoping tutoring online is the answer but….will it be? I struggle so much with boundaries. I am a natural giver and while it is very rewarding, it can also be exhausting. I am working on drawing a line and setting aside time for just me and my family but it is difficult to do. I want to help others in need but I am learning to say no more often. It is a growth experience! I definitely have trouble saying “no” to things. I usually struggle with the decision because I know I shouldn’t commit to one more thing, but feel guilt over letting someone else down. I am trying to remember that what I commit to needs to bless my family and I and please God. This book looks great! Right Amy? I didn’t think I needed it either. Just goes to show you that many of us are just givers by nature, but at what cost? I love that tutoring allows me flexibility for when I am not feeling well. Such a blessing. They are a constant battle for me as well. But saying no is getting easier. You can do it! My husband is the same too Rachel! He doesn’t want to see me deteriorate like that. Being part of a team is essential! I love that with tutoring, I can pick and choose as well. Having the right students around me can lower my stress levels for sure. You’ll love the chapter about office relationships Cleo. So many GOOD ideas in there. Dr. Cloud specifically addresses how to make sure your only taking on your responsibilities and how to stand up for yourself when the boss is piling on too much. Agreed Paulina! Life is too short to be so stressed. Are you considering taking on tutoring more to allow you some flexibility? Constant struggle for me as well Deb. But for the past few weeks, I’ve been trying to make it a habit to disconnect from my business and spend time with my husband after the kids go to bed. I am finding that my body craves that time and I start to dread the computer at night. I wonder the same thing with men, but Dr. Cloud gives plenty of examples of ways men lack boundaries too. You’ll love the book. I agree! It hurts a little to say no, but I know you were stretched way past your capacity. So glad you are sticking to it this year and saying no. That’s interesting Amy! But I think patience is a good attribute for sure. Like you said though, too much can cause you to become a door mat. No one likes getting taken advantage of. I think so Nikki! Shifting those work hours to day time hours when you are at your best will be such a God send, don’t you think? I’m so glad you took a chance to learn how to do online tutoring with us in our OTS beta class. I can totally relate to studying all day just so I can feel confident about teaching it, but I didn’t have to do that year after year. That part does get easier. This is such a great conversation. Doesn’t it feel good to know you are not alone in this feeling? I wonder what would happen if more of us would say no and take care of our top priority on a daily basis. AND that top priority might just be saying yes to a service opportunity or taking on a new student. There’s a time and a season for everything. I think you’ll enjoy it Elizabeth! That’s what it is all about. Recognizing the seasons of life and also embracing what responsibilities God has given you.